Ferro Carriles del Ecuador or Tren Ecuador ( Ecuadorian Railway Company ) invested over $ 300 million to restore an abandoned railway system originally built in 1908. Tren Ecuador now operates the railway as an example of how tourism can contribute to local development. 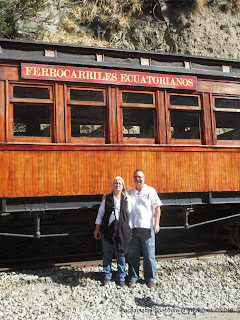 Tren Ecuador recently was honored to win two World Responsible Tourism Awards in London, England. 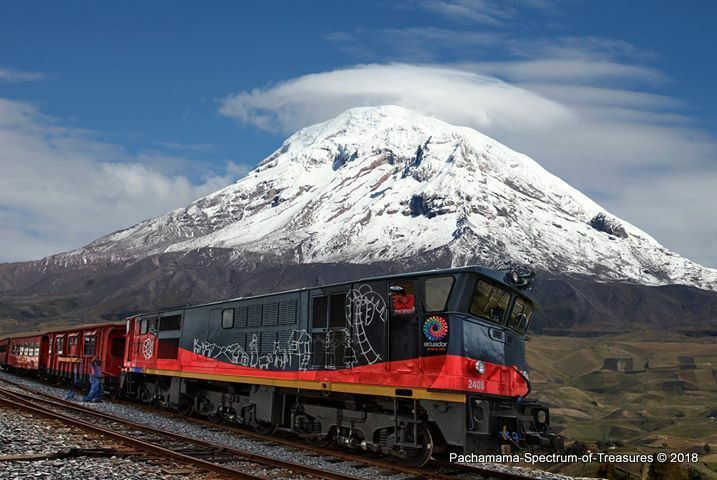 Ecuador's rail system received the gold award for "poverty reduction and inclusion", along with jointly winning an overall award. " Awarded to an organization with a creative and long-term approach to reducing poverty in local communities and including local, and marginalized people in their activities. "The judges hold Tren Ecuador up as an outstanding, holistic example of how all tours should be designed, and feel that if all tourism was planned in this way it would be very effective at making better places in which to live, as well as better places to visit." 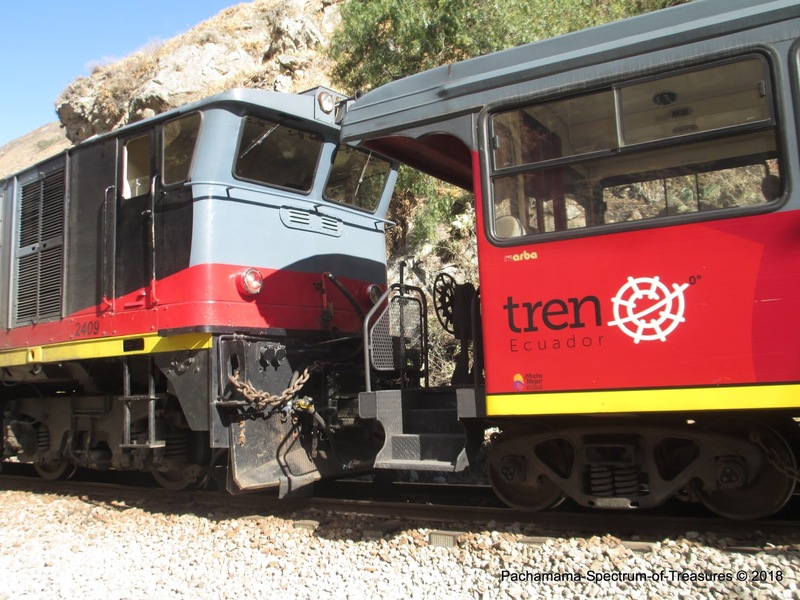 Tren Ecuador showcases a wonderful working example to the world, having changed the traditional approach of heritage and luxury train travel. 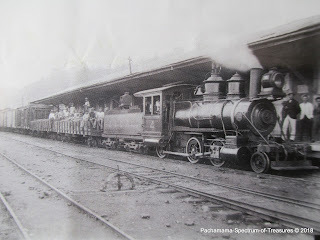 The creation of 26 station-cafes, 14 artisanal plazas, 13 museums, a variety of life size murals, 2 lodges, 9 folklore and historical recreation groups and several community-based tourism operations - all included as part of a tourist's journey - and greatly enhance the historic railway experience, and form the real Ecuadorian adventure. The result is associated enterprises which create the livelihoods for 5,000 people in local communities along the tracks." 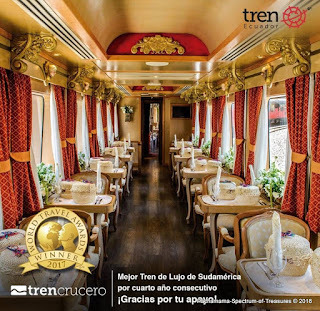 Opened in 2013, the flagship service, Tren Crucero is a four-day, three-night, 500 km luxury rail journey from an elevation of 9,350 ft in the majestic Andes in Quito through the entire countries contrasting landscapes down to the lowlands, and Guayaquil at sea level on the Pacific coast. 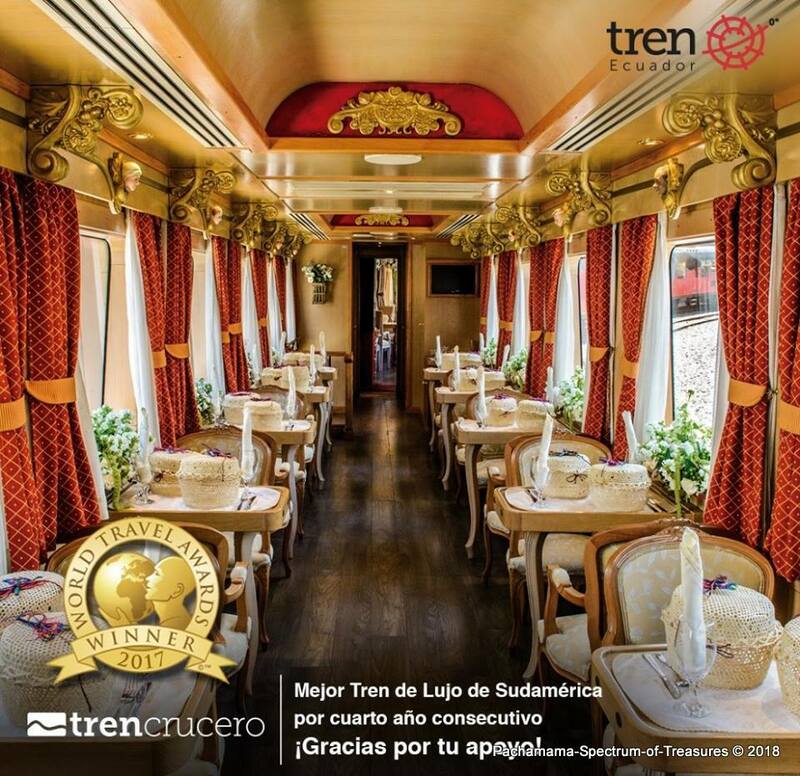 Tren Crucero provides, 150,000 international guests annually, a unique and authentic experience, along challenging historic rail lines, with many excursions allowing them to truly experience Ecuador's diverse cultural and natural heritage. It actively engages local communities along the routes to provide food, crafts, entertainment, and other services for the visitors. Recognized as the leading luxury train in South America by World Travel Awards, and distinguished with European tourist awards. 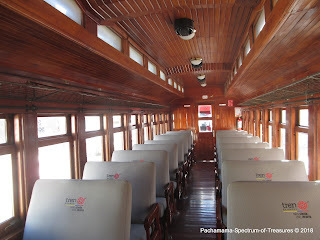 These lovingly restored, antique steam, and modern electric-diesel locomotives pull a high quality convoy of two luxury, colonial and republican-style themed passenger cars with comfortable seating and tables. A bar and gift-shop car with two comfortable observation lounges, and an open air terrace, complete this comfortable boutique train, carrying just fifty passengers. There are no sleeper cars so passengers disembark each night and travel to a historic hacienda hotel. Travelers from Argentina, Canada and the U.S., Germany, Switzerland and throughout the world enjoy the adventure. 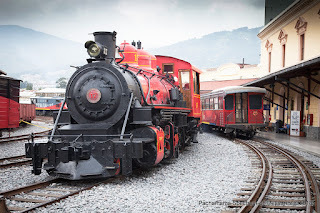 The luxury Tren Crucero departs from Quito to Guayaquil every Tuesday, or traveling in the opposite direction from Guayaquil to Quito every Sunday. The 4-day 3-night excursion costs $1,750. (2018) Near Alausi the route travels the brave descent down Devil's Nose. Local residents, or tourists, may undertake any of the eight segment journeys as independent day trips. 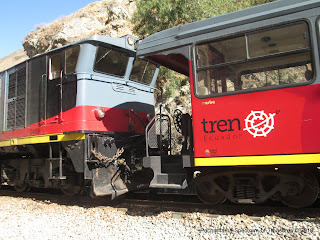 For schedules, tickets, or more information visit Tren Ecuador's website. 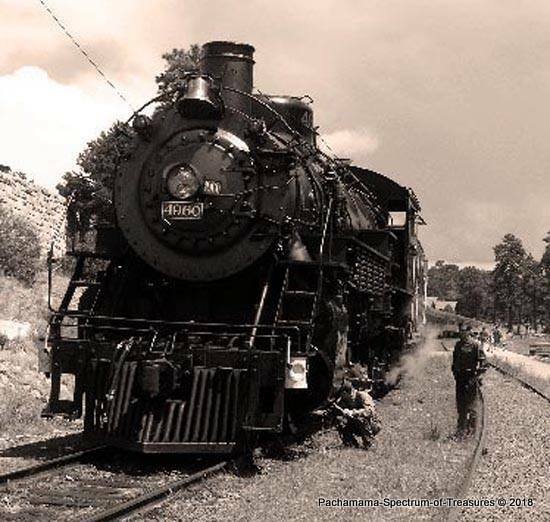 After the trains leave their stations, the varied sounds of locomotive power used attracts many smiling local faces, children and elders waving frantically in awe. It is an endearing part of the experience. 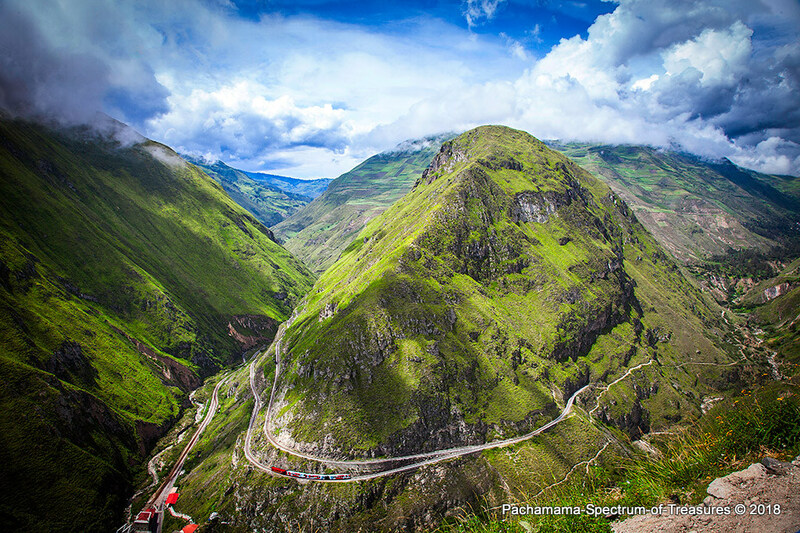 Offering spectacular scenery with traditional Andean pan flute music. Originating in Otavalo, the country's largest Indigenous market, a 10 hour journey north. Enjoying the diverse historic folklore, gastronomy, music, textiles, wood carving craftsmen, fertile agricultural valleys, and landscapes of the Imbabura province. In Ibarra you may transfer to the Tren de la Libertad I traveling to Salinas. 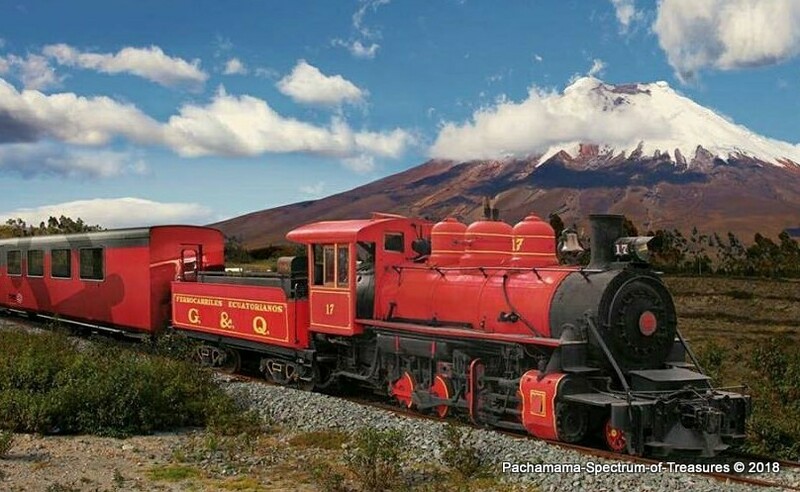 Travel the beautiful inter-Andean valley route that German scientist Alexander von Humboldt traveled 200 years ago and named "The Avenue of the Volcanoes". 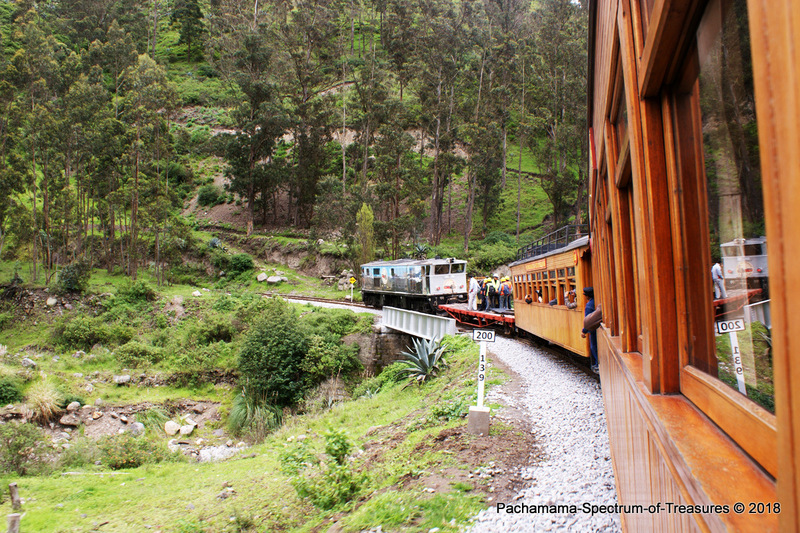 Departing from our capital city of Quito, this 9 hour journey 60 km south through majestic Andean landscapes and diverse eco-systems. The El Boliche departure leaves from the foot the 19.350 ft Cotopaxi Volcano. Following the " Avenue of the Volcanoes " 18 snow capped volcano cones, often cloaked in clouds flank the railway line. 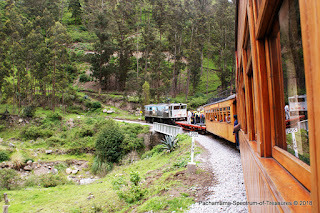 Alpine tundra high above, we pass through fertile fields and haciendas nestled in the valley where Andeans pause from their farm work to smile and wave at the passing train. 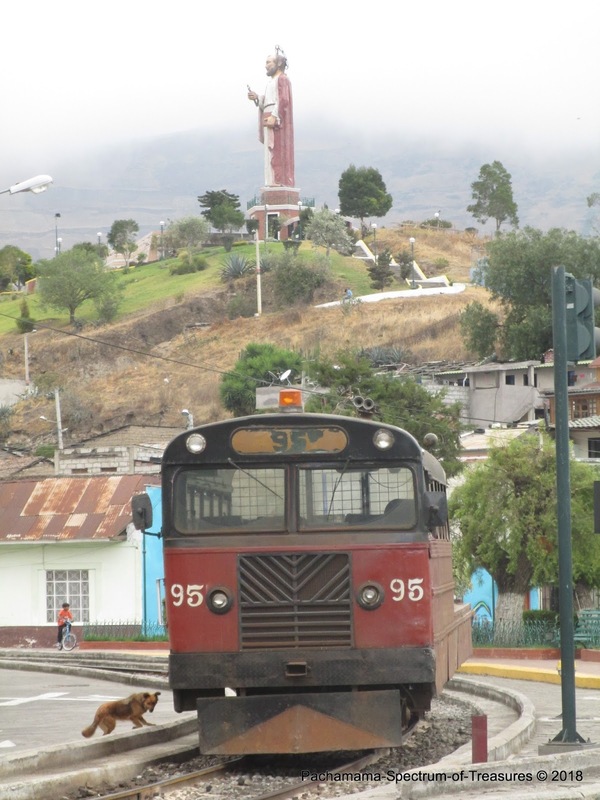 A newly launched 9 hour route leaving the Ambato fertile agricultural valley traveling north between the Eastern and Western Andes north to Cotopaxi. Passing the Tunguraha and Sangay volcanoes who guard the entrance to the Amazon. Climbing to 11,400 feet, you will pass rose plantations, and the Latacunga Artisans' Plaza finally reaching the cloudforest of Cotopaxi. Treeless alpine tundra above. 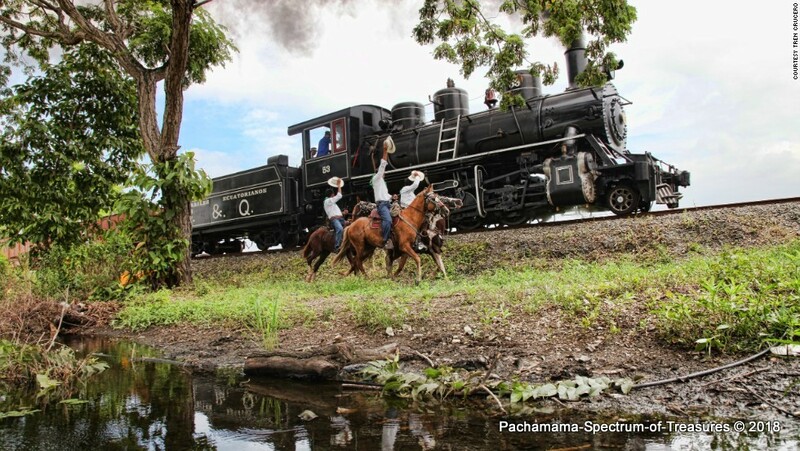 At the Lasso train station, a small troupe of dancers performed in traditional costumes, including huge headdresses covered in small mirrors, dyed feathers and bright ribbon. This performance felt a bit like an especially colorful and confusing school play, but the performers' passion was real. 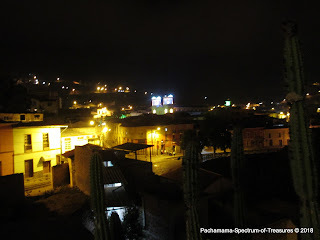 A nine hour journey south from Ambato's valley of fruits to the Andean paramo of Chimborazo. Urbina, the highest point at 11,800 ft you will encounter the last Ice Merchant of Chimborazo, Senor Balthazar Oscar in his seventies who since he was a young boy hikes the 20,500 ft volcano to the glacier to bring down 40 lb blocks of ice. Continuing an ancient but dying trade, he summits twice a week to collect ice from the glacier. Traveling towards the South of America after the Tungurahua volcano, the volcanoes begin to sleep, and you will encounter extinct crators and lakes. Markets gather trade from throughout the country. 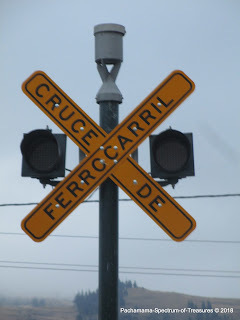 The river Chanchán accompanies the railway to the coast through the picturesque town of Alausi. 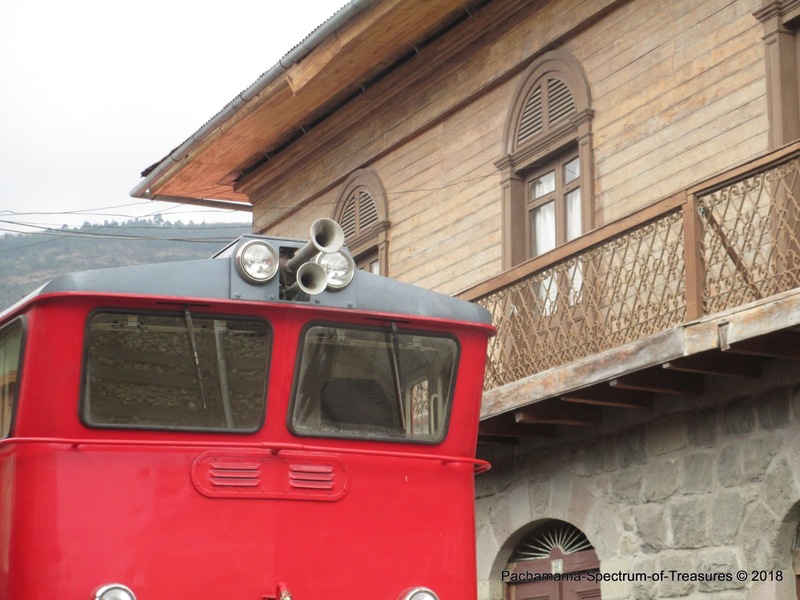 Beginning in Riobamba a 6.5 hour journey north to Chimborazo – Ecuador´s highest peak. 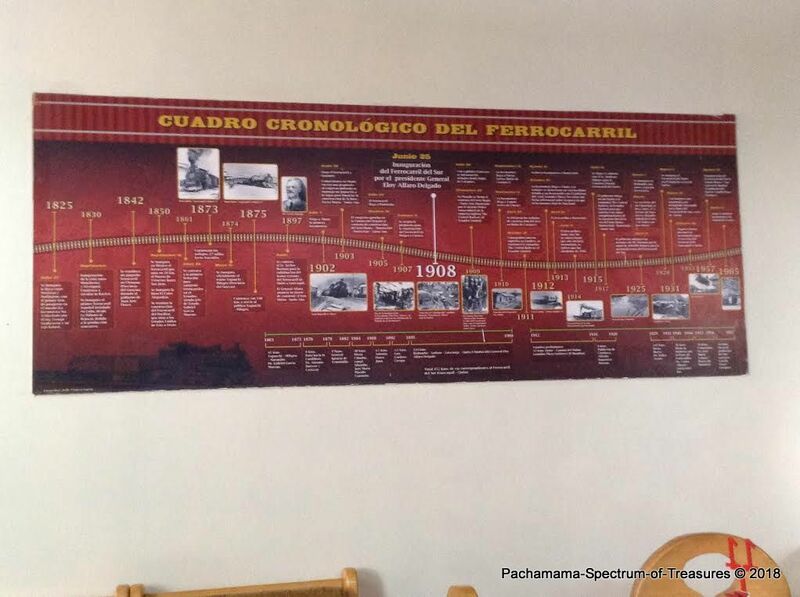 At the Urbina station you will meet Baltazar Ushca the last ice merchant of Chimborazo, who continuing an ancient trade, summits Chimborazo daily to collect ice from the glacier. 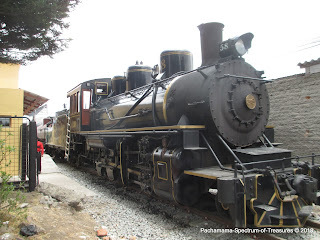 On returning to Riobamba a visit to La Moya. The descendants of the ancient Puruha people will share their secret daily live in the Andes and you will enjoy a typical lunch in the paramos of Chimborazo volcano. 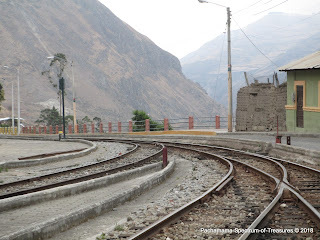 This section of railway line provided the engineers with the most demanding complication for the Trans-Andean railroad. The Devil's Nose is a mountain with almost perpendicular walls along the narrow river Chanchán gorge. 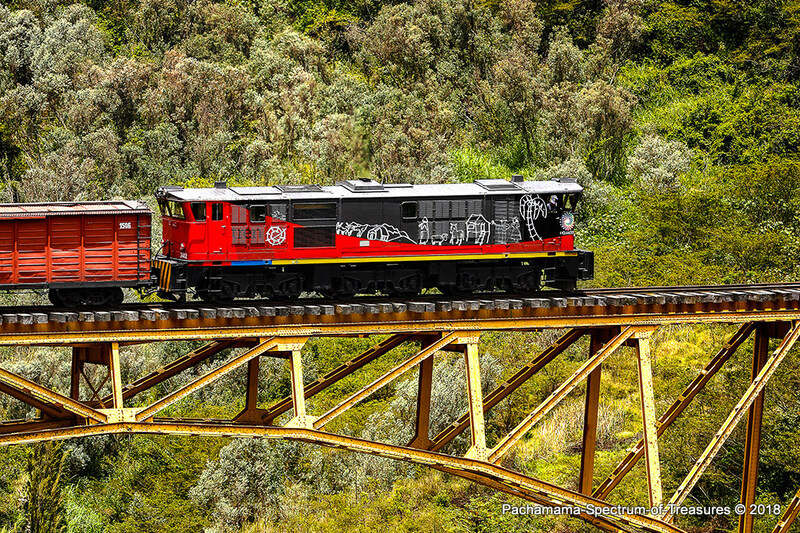 In order to overcome this obstacle, on these steep mountain walls, the train climbs 500 metres in less than 12 km using zig zaging tracks. The route was blasted out of the rock, track laid in a Z-shape, creating a series of three extreme switchbacks. Brakes are thoroughly checked, and traversing these switchbacks the train essentially changes direction several times. Even today it is an impressive piece of engineering. Now this legendary Nariz del Diablo (Devil's Nose) with its short 1.5 hour descent is the most famous and popular section. More detail and photos follow below in the article. We then dropped down through eucalyptus stands, and farther still, to the steamy, orchid-laced tropical jungle of the lowlands. The coastal plains are home to the mighty Guayas River, where its mouth creates the largest watershed on the Pacific coast of South America. The fertile plains are home to endless banana, rice, and sugar cane plantations and imposing tropical forests. 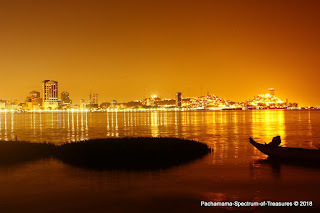 The largest river delta on the Pacific Ocean is born from the confluence of the rivers Daule and Babahoyo forming the brownish waters of Guayas that edges past the city's Malecón 2000. 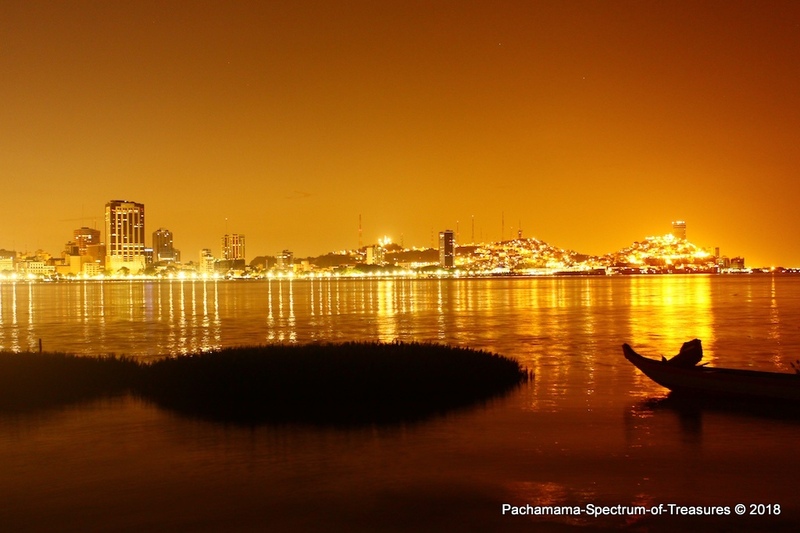 Parque Historico, Isla Santay, Las Peñas, La Perla ferris wheel, are some of Guayaquil's major attractions. Leaving from Duran, near the bustling port of Guayaquil, you will enjoy a 10 hour adventure through coastal landscapes, cacoa, suger cane, and banana plantations. 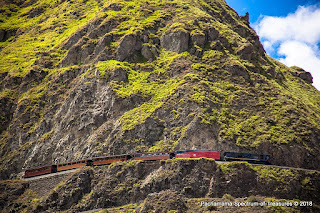 Of all the railway track in Ecuador, the one that is regarded as the most difficult of all, that links the coastal lowlands with its Andean highlands: the Devil's Nose. Our journey begins in the village of Alausí. Alausí, a small, sleepy, town of 7,000 whose economy is inextricably linked to the railway. With the construction and opening of the railway Alausí boomed. Early in the 20th century the railway line connected the capital with the coast eliminating the grueling journeys of the past. 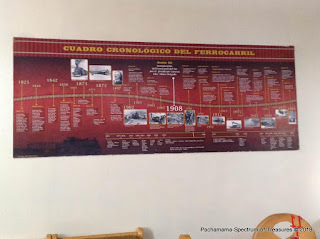 It quickly became the hub for fish, seafood, tropical fruits brought up from the Pacific Coast and cereals, maize, barley, potatoes, blackberries transported from the Andes. 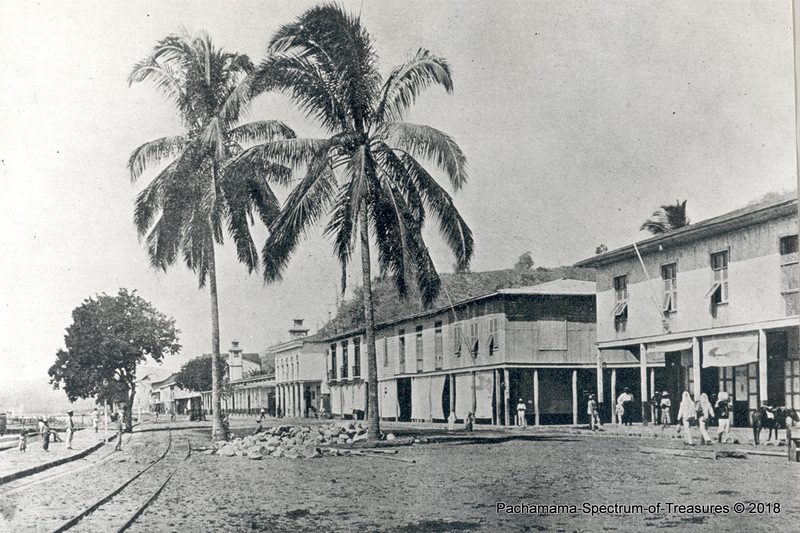 Immigrants arrived from Europe, traders flocked to set up stores, merchants built mansions, and the town expanded. Nestled into looming green Andean slopes, where the towering monument of San Pedro watches over the city from its strategic vantage point, it is a wonderful setting for enjoying an ice cream and watching the locals. Enjoy a well done documentary video of Nariz del Diablo. 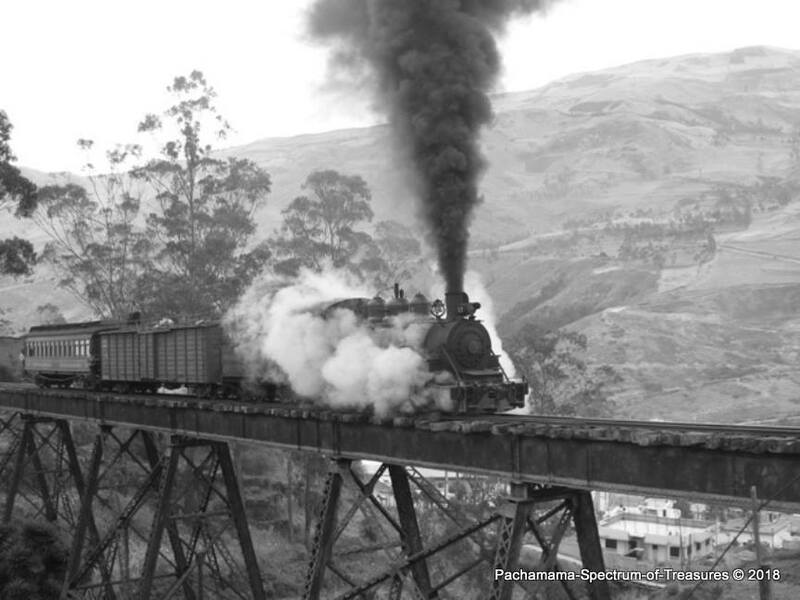 This 7.5 mile section of railway line provided the engineers with the most demanding complications in building the Trans-Andean railroad. It is said as many as 2,000 men were killed while constructing this section. The Devil's Nose is a mountain named after the noselike shape of this imposing, jagged rock with almost perpendicular walls along the narrow river Chanchán gorge. 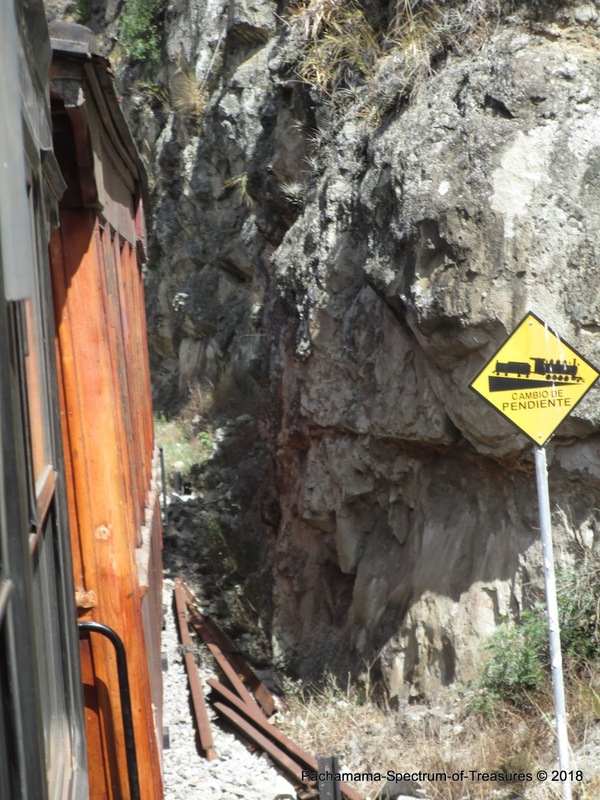 In order to overcome this obstacle, on these steep mountain walls, the train climbs 500 metres in less than 12 km using zig zaging tracks. The route was blasted out of the rock, track laid in a Z-shape, creating a series of three extreme switchbacks. 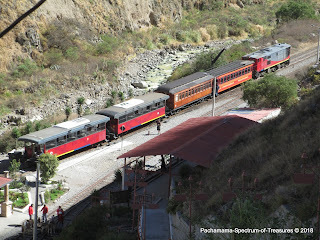 Brakes are thoroughly checked, and traversing these switchbacks the train essentially changes direction several times. Even today it is an impressive piece of engineering. 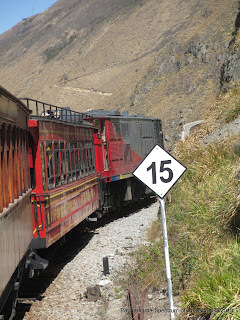 The train hugs the steep perpendicular canyon walls which are often just inches from the windows, and the landscape below is not visible creating an eerie feeling of floating. 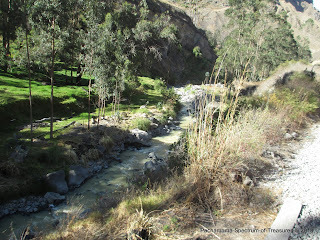 Cascading streams meander below, canyons and ravines around each bend. The rapid descent of over 1000 meters translates into a dramatic shift in climate and environment. 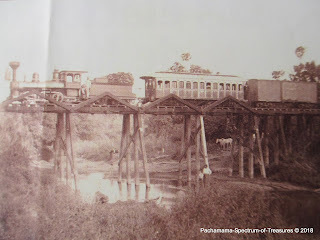 In previous years you could ride on the roof top of the carriage until two Japanese tourists were decapitated by a low hanging cable. 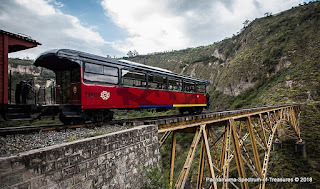 Now this legendary Nariz del Diablo (Devil's Nose) with its red, steam-driven locomotive, and short one hour descent to Silambe is the most famous and popular section, and ranks as one of the 10 most dangerous train rides in the world. 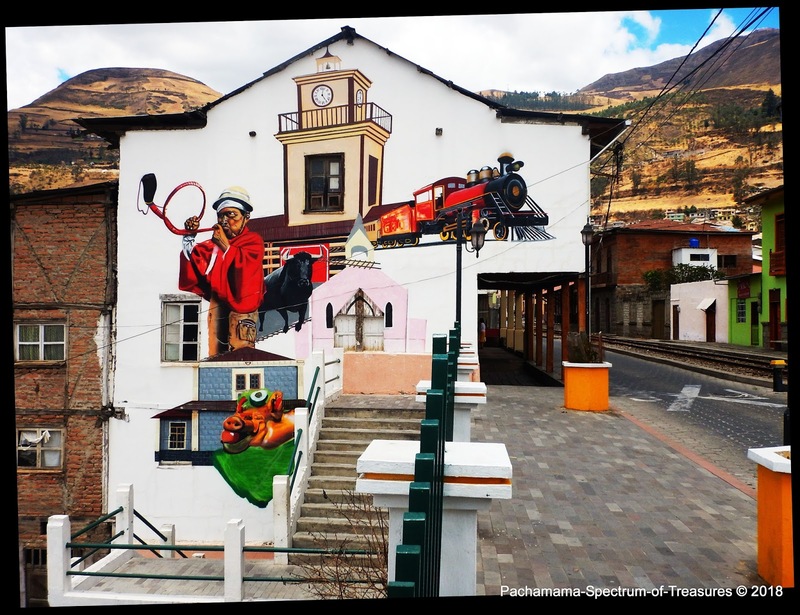 In the Silambe plaza you will be greeted with a presentation of indigenous dancers, artisan market, photo ops with llamas or donkeys, railway museum, and several options for light refreshments. Our stay in Alausí was in a quaint, rustic, bed & breakfast with character and warm hospitality overlooking the town, and the valleys below. We enjoyed the outside garden benches for relaxing and enjoying the panoramic vistas. We enjoyed our wonderful breakfasts in the glass enclosed balcony restaurant filled with antiques. The civic square is welcoming, and following the railway tracks at the town's edge is an impressive black bridge spanning the gorge of the River Alausí below. Nearby attractions include trekking along the old Inca trail from Achupallas, waterfalls of Huigra and La Multitud, horseback riding, or mountain biking. The construction of the Ecuadorian railroad began in the late 19th century, and by 1908 the stretch Quito-Guayaquil was completed. 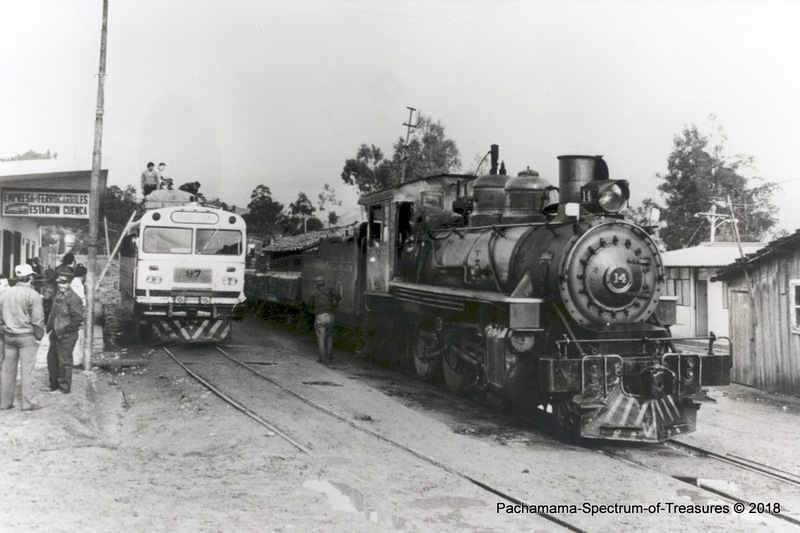 The Trans Andean Railway line contributed significantly to the country's modernization, and was instrumental in unifying the country. 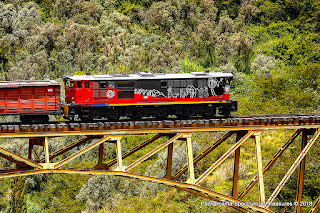 Today some of these tracks have been refurbished offering a very unique and attractive way to discover Ecuador's contrasting landscapes. 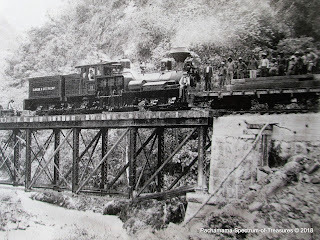 1873 - the Government started construction of 41 kilometers of track on the coast from Yaguachi to Milagro. 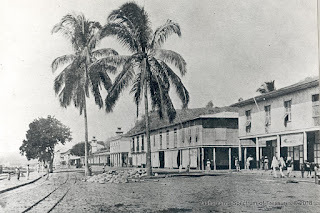 1895 - The Liberal revolution triumphed, and work was resumed by the General Eloy Alfaro Delgado. 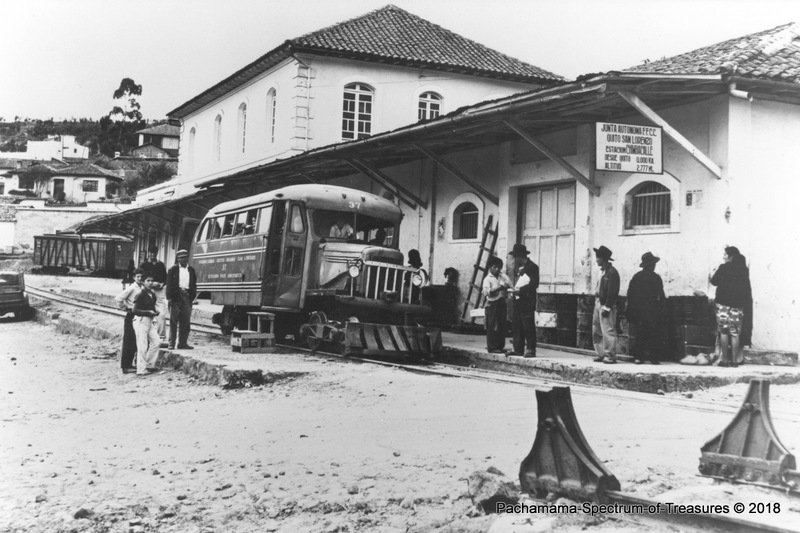 1897 - The Guayaquil and Quito Railway Company was formed in 1897 and it began construction of the southern railway. The railway line network was built by 4,000 laborers brought in from Jamaica and Puerto Rico of which nearly 3,000 of them perished. 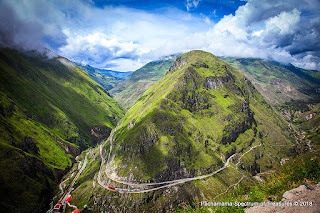 1902 - Nido del Condor or Condor Puñuna known as the famous hill of the Devil's nose was built. This piece of complex engineering designated the railway line as the world's most difficult. This section's difficult terrain, and adverse weather conditions caused 2,000 deaths ( 67 % of the projects death toll ). 1905 - the Durán-Riobamba section was inaugurated. 1906 - the train arrived in Ambato. 1912 - the Bahía-Chone section was inaugurated. 1928 - the section from Santa Rosa-El Oro was opened. 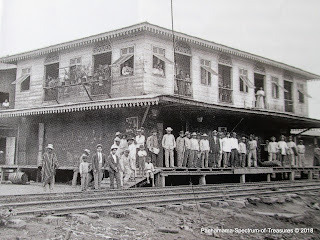 1936 - the Guayaquil-Salinas section was inaugurated. 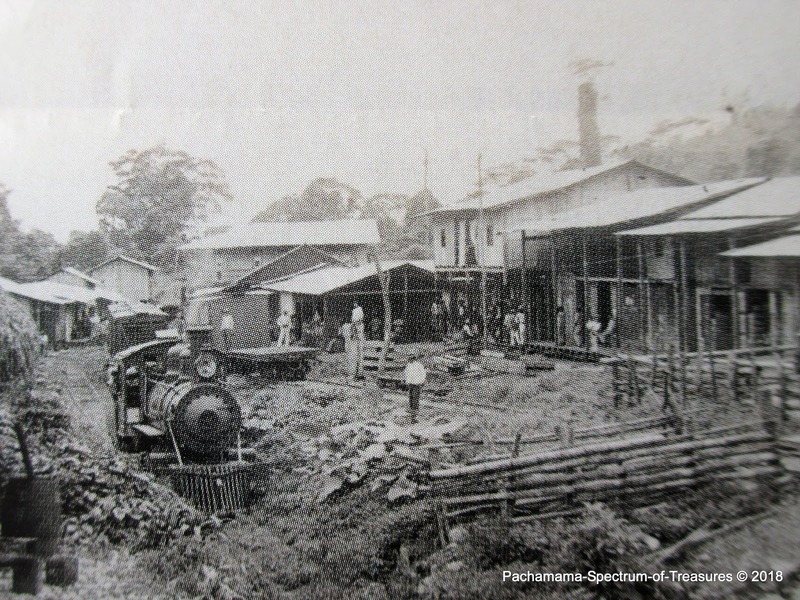 1957 - the section from Ibarra-San Lorenzo was opened. The provinces in the Sierra now finally had access to the Pacific Ocean ports. 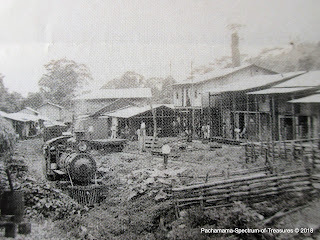 1965 - the Sibambe-Cuenca section was inaugurated. 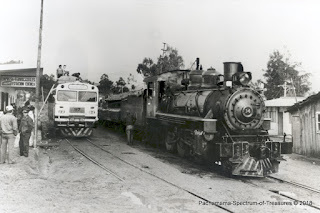 1975 - the railway started to decline due to high maintenance costs of lines and equipment in the rugged terrain with significant rains, lack of political interest from Governments, and competition from expanding road networks. 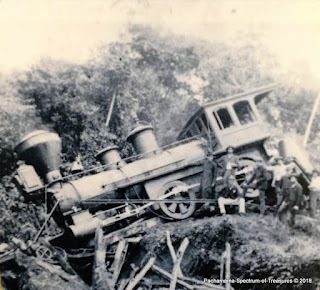 1980 - the railway was abandoned after rails and rolling stock had been destroyed one too many times by landslides. 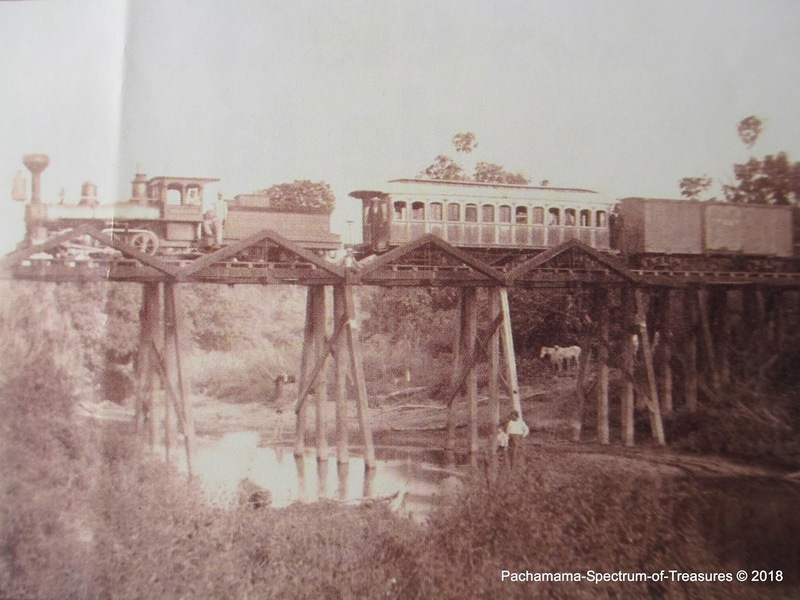 1993 - the El Niño washed railway track sections into the Río Chanchán. 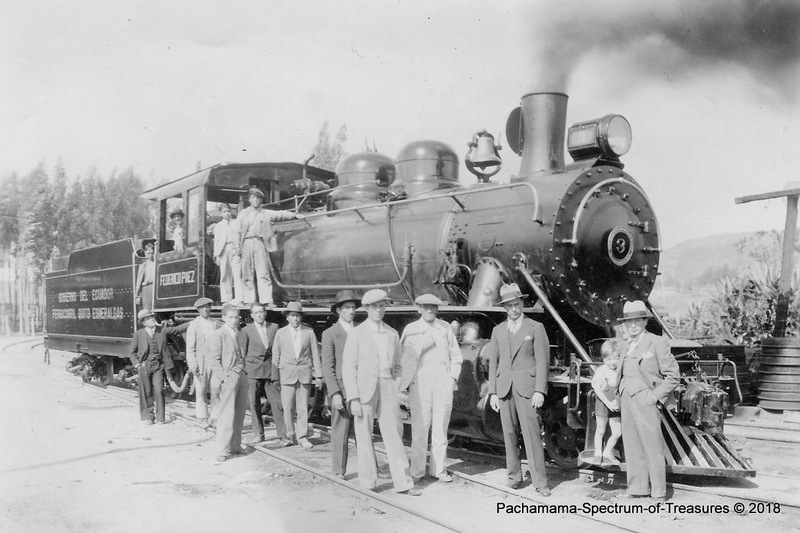 2008 - on April 1, the National Institute of Cultural Heritage (INPC) declared the railway network as Cultural heritage of Ecuador and began restoration efforts. 2008 - reinauguration of the section from Quito-Latacunga. 2011 - opening the famous Nariz del Diablo Alausí-Sibambe railway section. Through their social responsibility strategy, "Travel Good, Do Good, Feel Good" every time you enjoy a drink or food in a cafe, purchase a souvenir, or enjoy a local tour, you become a part of this "large family" committed to making responsible tourism sustainable, fun and profitable for all.